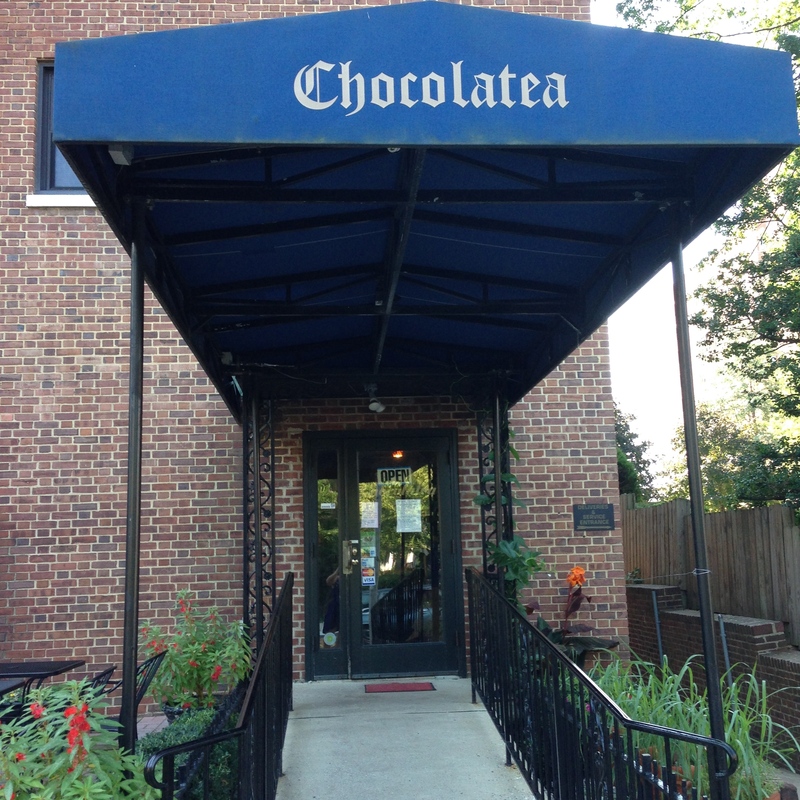 Chocolatea Cafe – eating my way through Charm City! I never knew this place was here. It’s tucked into the Ambassador apartment building on 39th Street and if you aren’t looking for it, you might pass right by this blue awning. In fact, we had to call to find it. Just like the name says they do lots of tea drinks and chocolate lattes. I didn’t get one for those – so I am not sure that I gave this place a fair shot. There is no table service here – just a counter with a super super friendly and helpful staff. We just did a regular drip coffee – the mugs were huge and filled even though we did ask for room for cream. After you’ve ordered they give you a number/letter and you pick a table. They will bring the food out to you – so you can enjoy yourself outside. They do not have a ton food of options, but they have all your favorite breakfast favorites. I almost chose the egg and ginger – but I just couldn’t figure out what that was gonna be – so I got this ginormous bagel sammie. Made with real egg! None of that microwave crap. It took a while for the food to come out – maybe because we were outside and they couldn’t find us. Food was fine – nothing special – but, two coffees, the bagel sandwich and a waffle with bananas was only $14. I’d say its worth it, plus it’s so close to my house – I’m sure I’ll be back. This entry was posted in Brunch, Charles Village, Charm City, Meh., North Baltimore, Roland Park. Bookmark the permalink.